So, we should be halfway done by now, but I’m a realist. With all the other things I’m trying to accomplish, there really is no way to post something every day unless I’ve pre-written everything and gotten it all lined up. I didn’t, so that’s that. But this topic of gratitude is still so important. I’ve been writing this month about being grateful. And not just being grateful sometimes, but about how to cultivate a grateful heart in this whiny, self-absorbed world we live in. I am truly so grateful for my life. But when bad stuff happens, or things don’t work out as planned, or, or, or… sometimes a swell of mopey overcomes my normally good-natured, grateful self. And I cringe. Let’s work on it together. One little change daily will turn your heart around. Think of one thing. ONE THING you are thankful for today, and write it down. Do it again tomorrow, and the next day. And the next. I’m not a journal-keeper. Believe me, I’ve tried. But this I can do – I keep a gratitude journal where I write at least once a week the things I’m thankful for. I leaf through the pages and look back on it often. This is one of the first concrete things we took a look at doing, and it has been so helpful to me so far. And you know what? It always produces a smile. And a change of heart in that moment. What are you doing to cultivate a heart of gratitude? 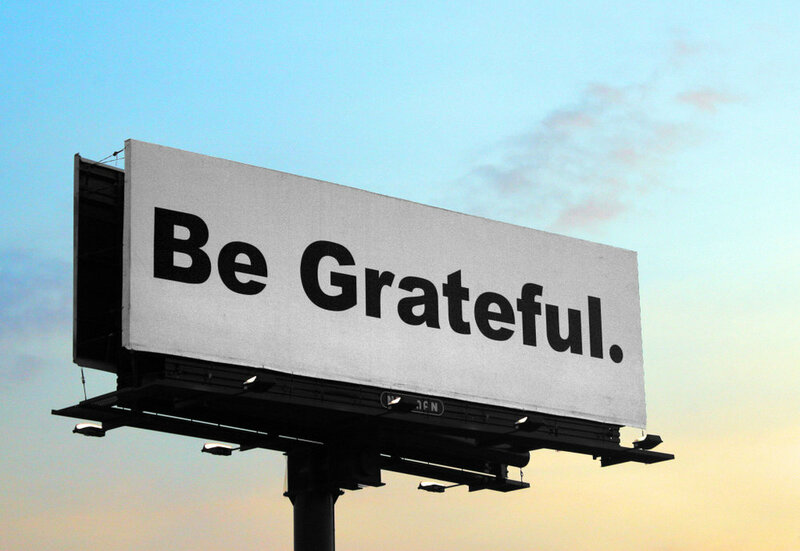 We were following a list of seven things it’s been shown to help you have a grateful attitude, but really, there are so many more than that, so we will stray now and then and add a few other gratitude-inducing practices. Some obvious. Some not so obvious. But oh, so important. Like learning to recognize God’s presence in everything. And by everything, I mean EVERY THING. The good, the bad and the ugly. No matter what, you have never walked alone. Think back. Look for it. You’ll see. A few years ago, my son was in the hospital for brain mapping for his seizures. I was there with him for a week, because they needed a family member familiar with his seizures to press a button every time one happened. Little or big. I loved getting to know my young adult son on this intimate level. We talked, we laughed. When he had visitors, I’d step away for a break. For the most part, we were captive room mates. It was a strangely enjoyable time. We had spent family time with my older brother just a few days before entering the hospital, and he had promised to visit Chris that week. It was quite a drive, so nearly every day I would leave him a message describing the traffic, say I knew he had to get up so early for work, and he should wait until the weekend to come visit. All was well. Except it wasn’t. When my brother didn’t show up to visit Chris by Friday evening, I called him several times. No answer. I called his neighbor, who said the car was in the driveway, but lights were out in the house. I called my nephew, a police officer, to ask what I should do. He immediately drove there, and looking through the window, could see my brother lying on his bed. He was gone. I know what you’re thinking: WHAT could possibly be good about this situation? How can you be thankful for your brother being found dead? * God chose to call my brother Home in the gentlest of ways. He simply took a nap after work, and didn’t wake up. I’m grateful. * I was helplessly locked in to a commitment of being in the hospital with my son. If I hadn’t been there, I would have driven out to my brother’s house and I would have found him dead in his bed. I’m grateful to be spared from that. * My nephew is a police officer in the adjoining city and when he called the dispatcher, he knew her. He knew the protocol of what to do in this situation and said to me, “Tami, God arranged for this to happen when I could take care of it for you.” I’m grateful for him and his good heart. * Officers arrived & they had a common ground with my nephew. When they looked through the house and found no evidence of foul play or suicide, they reported it as such and the mortuary was called to pick up my brother, and not the coroner. This never happens. I’m grateful. There is more, but I think you get the picture. As I think back on that night, I see God’s handwriting all over the situation, and I am grateful. Now I’m entering into a time of beautiful blessing. I see God’s hand in that, as well. And I am grateful. Look at your life. Think back. Take some time to see how God connected the dots in your helpless and even hopeless situations. Never once, did you ever walk alone. How many times has a smile spread across your face over the smallest thing? I mean, the very smallest thing? That’s a very good thing, and one of the ways to cultivate a heart of gratitude. Learning to recognize the value in the little things that come our way such as a simple complement, a smile from a stranger, getting flowers “just because” or help with a task will spur us on to being happy and grateful. Have you noticed these little things come from others? We need one another in this journey of life. I believe we receive back what we contribute. Be stingy with complements, smiles and small kindnesses, and you will not receive much in that area. On the other hand, if you are the one to make a point of giving a complement, sharing a kind word, even giving those “just because” flowers, you will reap the benefits. Whether giving or receiving, it’s the little things. Let’s try something: today’s assignment is to find someone you can do a small kindness for, share a kind word with, complement, or even give flowers to. I guarantee it will bring a smile to your face. And when it comes back to you – that’s pure joy. Yes, the little things = the makings of a grateful heart. How did you do with starting a Gratitude Journal? I’m pretty excited about mine. I chose the pretty handmade parchment journal with the yellow flower on the front. First thing this morning, I wrote a few sentences about the good things. It was enough to put a smile on my face the rest of the day. As we dive deeper into cultivating a grateful heart, one of the suggestions is don’t avoid the negative. I know it sounds wrong – we’ve just spent time talking about how to remember all the positive, good things in our lives and to write them down, for goodness sake. And now, you want me to step into the negative? Not step into it, exactly – just don’t avoid it. Bad stuff happens to good people. All. The. Time. There really is no avoiding it. Life is unfair. Dealing with the negative stuff head on and just pushing through to the other side gives you a sense of power and accomplishment. And how much sweeter are the good times when you have the tough times to compare it to? Since it’s impossible to avoid the negative, the key is to not dwell in it. When something’s bothering you, I know getting your mind off it is not a simple task. If the urge to ruminate over a problem is more than you can stand, it’s time to change things up a bit to distract your mind. Think about something that requires concentration like ordering songs in a playlist or maybe the books on your bookshelf. Call a positive friend you know will help you snap out of it – you don’t even have to tell them what’s going on. Have a cup of tea. Reframe your situation in your mind, thinking of the positive things that could possibly come from it instead of the negative mire you are entrenched in. Even 20 seconds will do it. If the negative thoughts return, distract yourself again. Setbacks are part of life. If you embrace them as part of your journey – you will emerge more thankful for the small things, and a heart of gratitude will follow. 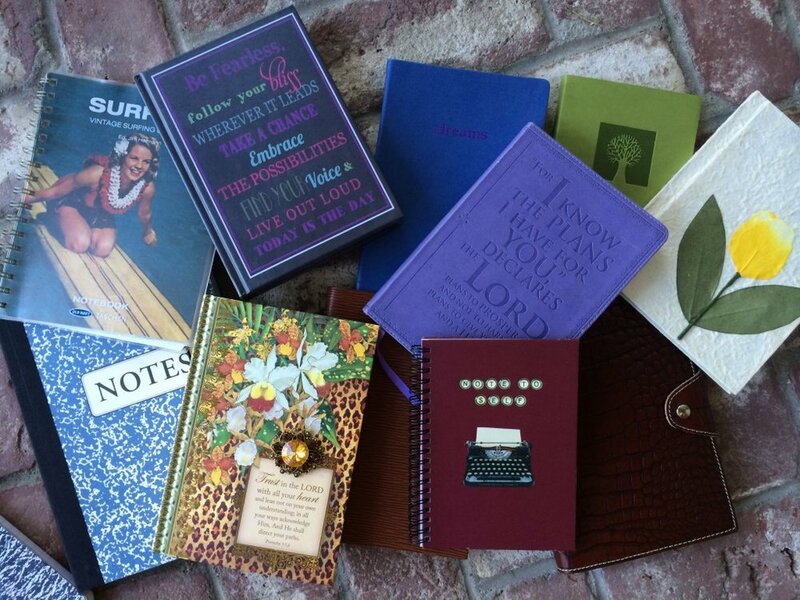 My name is Tami **Hi, Tami** and I’m a journal hoarder. As you’ll recall, we are perusing a list of 7 Habits of Grateful People by Lindsay Holmes at Huffington Post as we explore the concept of cultivating a grateful heart during October for the Write31Days challenge. 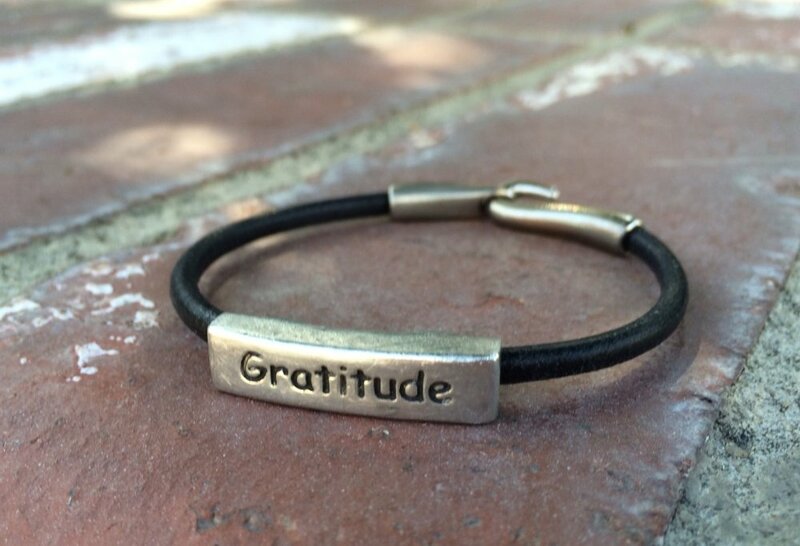 Then, just for kicks, I’ll add a few more of my own as we dive deeper into this subject of how to cultivate gratitude. First on the list is Journal. As in, actually do it – don’t just own dozens of blank journals, like I do. It’s not that I’ve never tried, or don’t want to. I just don’t GET journaling. It’s difficult, no, more like impossible, for me to spend time writing about my day at the end of it. I just. Can’t. And yet, I LOVE, LOVE, LOVE a new blank journal. I just tend to use them for other things. There’s the pretty green one I keep with my Bible to write notes in all week, then take to church to keep track of the sermon points. You know, just in case the pastor misses one. Then there’s the brick red one I keep in my purse to write IDEAS down before they escape from my brain. I’ve designed my voiceover website, birthed ideas for future ministries and non profits, and kept a grocery list in that journal. Nothing anyone would look at later and have a clue what it all means. Yep. All mine.This is maybe half of the lovely blanks I have on hand. Just waiting for the next great idea or life event to be penned in them. Except that I have trouble journaling. But it turns out, I’m off the hook! It’s not just daily journaling that makes you feel grateful. We’ve all journaled our complaints, just to get them out of our brains and onto paper. That won’t help. What will help is keeping a Gratitude Journal – writing down those things you are thankful for, grateful for, or that just plain brought a smile to your face. And you don’t even have to do it every day – just a few times a week helps cultivate a grateful heart. Now that I can do! A few sentences every so often to document the good things in life. Yes, that sounds like a wonderful idea! As we go through the rest of this month, let’s begin a gratitude journal, and see if it induces a sense of gratefulness. I’ll share some of my entries towards the end of this series. And to think, I was worried. It turns out there’s a legit use for my journals after all!